Glue, scissors and a cardboard box is all you need! Last year, at around this time, we found two Stag Beetles in the space of a week. One was in our garden and the other we found locally. I had never seen a Stag Beetle before so was interested to find out more about them and their habitat. One thing I discovered was that due to habitat loss Stag Beetles are an endangered species and are already extinct in several parts of Europe. I also discovered there was a very simple way of helping. 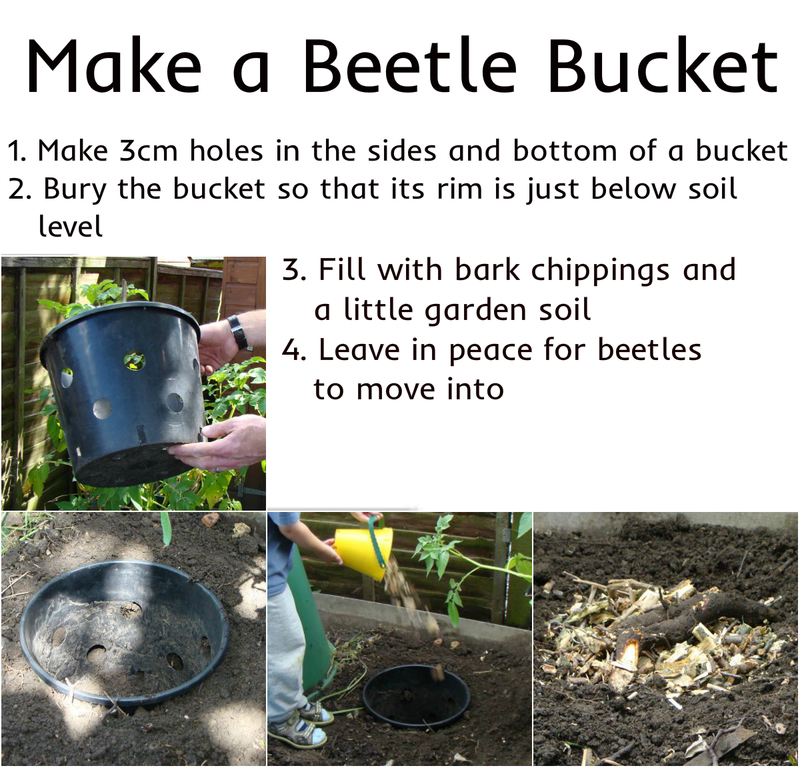 By burying a bucket of woodchip in our back garden we could provide a home for Stag Beetle Larvae. The larvae feed on the decaying wood around them for at least three years before they begin to pupate into adults, so these log piles are essential for the species. Well of course, we buried our bucket in the garden within a few days of finding all this out! It is so simple to do, why don’t you have a go?